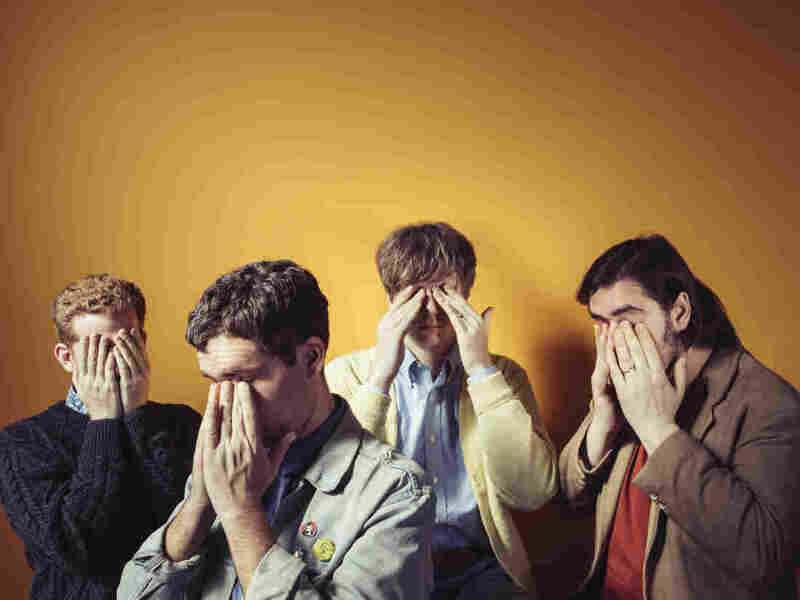 The Outrage, Angst And Optimism Of Parquet Courts' 'Wide Awake!' Track By Track : All Songs Considered Members A. Savage and Austin Brown talk white privilege, violence in America and the need for love as they break down the band's new album, Wide Awake! 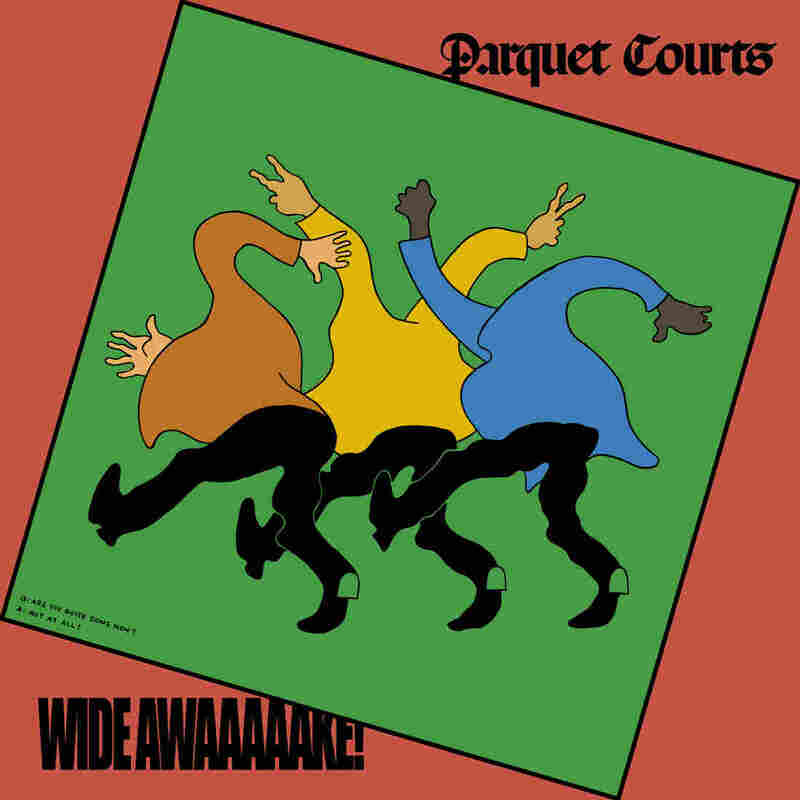 Parquet Courts' fifth album, Wide Awake! is a turning point for the band. 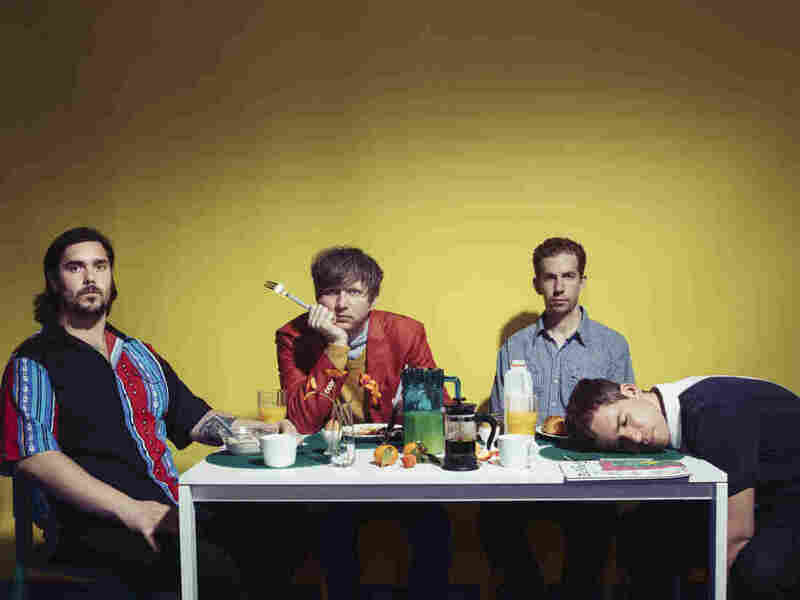 The four guys based in New York made conscious attempts to push their music out of their habitual tendencies toward aggressive rock and wound up with their most interesting record to date, with the help of producer Brian Burton (Danger Mouse). The songs on Wide Awake! are written by guitarist and singer Andrew Savage (A. Savage) and Austin Brown, who also plays guitar and sings in the band. Brown says he found inspiration in the music of singer Grace Jones, reggae artist Augustus Pablo and the funk band Parliament. For his part, Savage says he drew on the music of '80s American punk, such as Flipper, The Dicks, Big Boys and Minutemen. For this track-by-track breakdown of the new album, A. Savage and Austin Brown share the inspirations and personal moments that went into the process of making Wide Awake! The songs take on, among other things, white privilege, violence in America, economic inequality and so much more, all while ultimately making a plea for love.